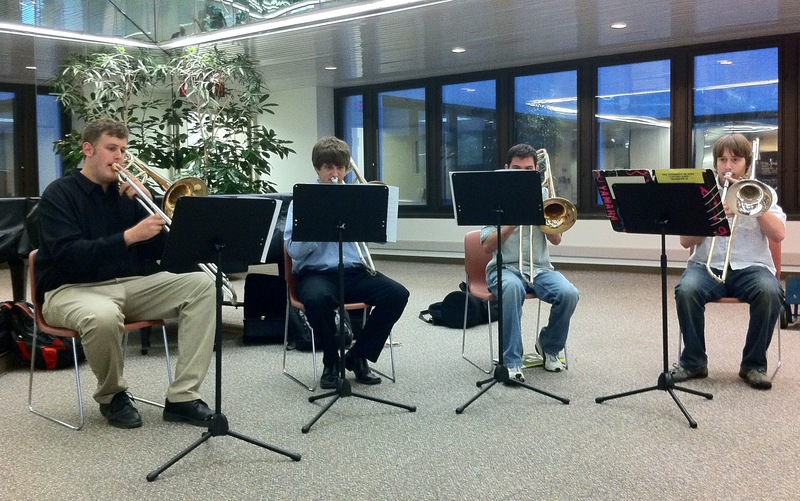 The junior/senior undergraduate trombone quartet performed as part of the University of Iowa Hospitals and Clinics music series. The quartet, composed of Nicholas Burnham, Christopher Copeland, Rob Medd, and Adam Schroeder, played holiday favorites for the hospital guests and staff. 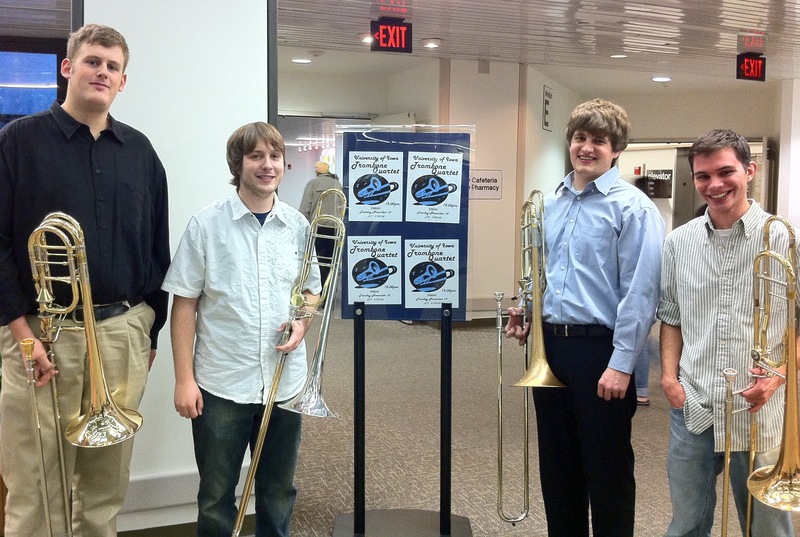 The quartet poses briefly by the posters announcing their performance.